Let's first acknowledge that your home is not the only thing you could (or should) declutter. While you are taking a big step in decluttering your home, you need to also tackle the bigger picture: why you bring the clutter in your home/life in the first place. Some things we can't help: extra linens are practical, that third casserole dish was a gift, etc. BUT, we get ourselves into this pickle by obtaining- and not letting go- when necessary. There, I said it. Resist temptation to buy that thing simply because it's your favorite color or because your mother-in-law gifted it. Always ask yourself, "Why do I NEED this?" and "Will it serve a purpose?" Losing clutter should be a relief. It should remove stress and allow you to feel truly comfortable in your home, office, car, mind, etc. 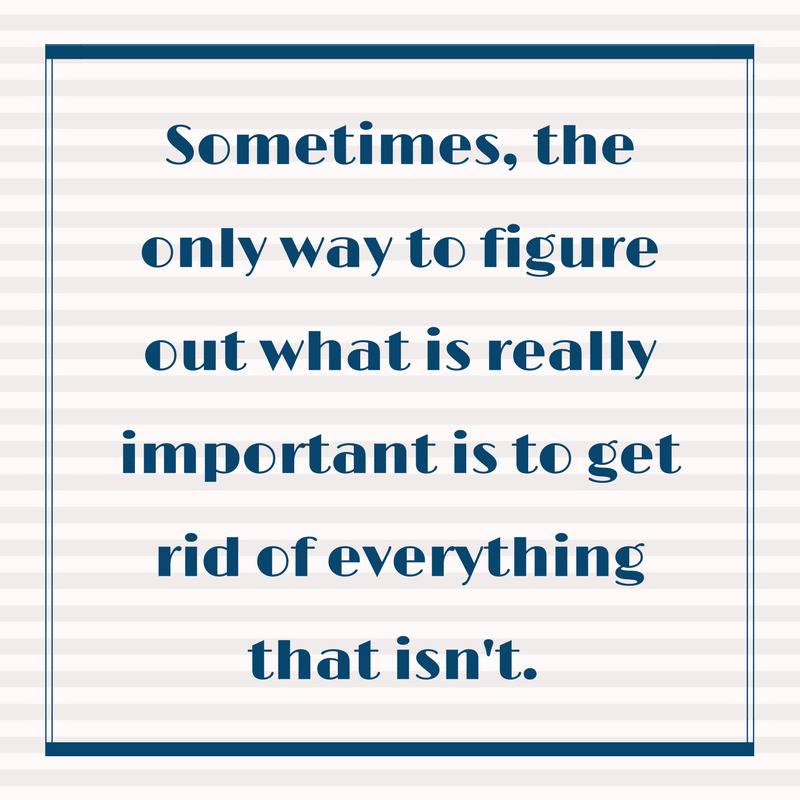 If the act of decluttering causes you such grief- you're doing it wrong. Try this practice instead. Take the time to divide everything into these five categories: Daily Use, Weekly Use, Sporadic Use, Rare Use & No Use. Find a permanent home for the first two categories and immediately get rid of the last one. Then, evaluate each item in the Sporadic Use and Rare Use and decide on your own if it's worth keeping even with minimal use. Always stay positive and take mental breaks. Once you've let go of an item, keep track of how much it cost you originally. This is NOT so you can justify keeping it. Instead, it is to give you perspective so you do not find yourself wasting money like this ever again. Keep that grand total in your mind every time you go shopping to keep you grounded. You save your credit card information and have your Paypal account linked to everything. While this may be logical for your electric bill, resist the urge to do so with online shopping sites. If you can't find the energy to get up, go to your wallet, and type in your information- do you really need that item? Look at your possessions differently. Less clutter means less stress. When you look at your significant other or your children you can immediately identify why they make you happy (even when you're mad at them!). If you can't immediately identify why a possession in your life makes you happy, that possession needs to be re-evaluated.